by	Plitvice Times	4. September 2018. 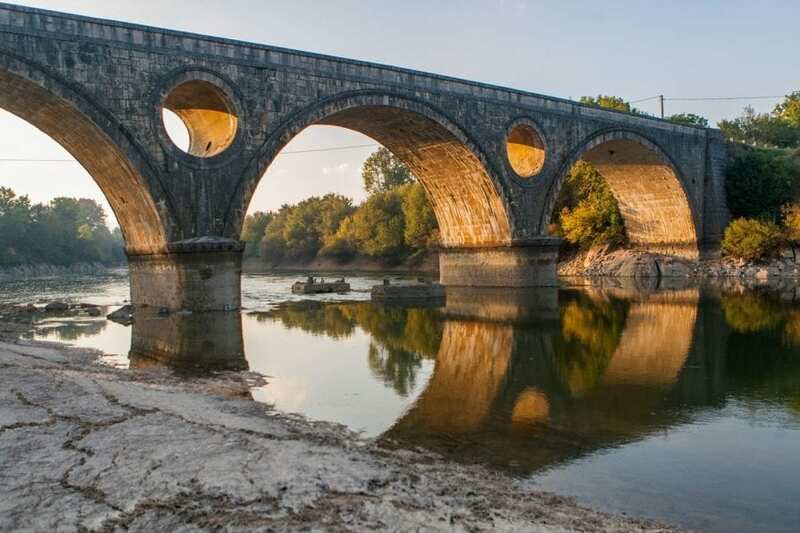 An ancient bridge is a perfect complement to any rural or river scene. Just like this mysterious arched bridge located in one of the most vivid sub-Velebit villages – Kosinj. 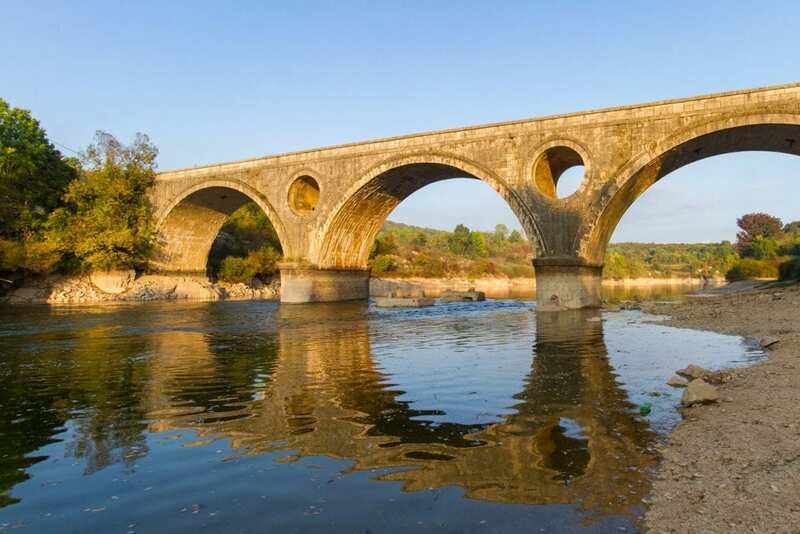 Kosinj Bridge is a seventy meter-long stone bridge that crosses the Lika River and was built according to the old Croatian bridge building technique. The bridge is unique with its openings in the arches whose function is to relieve the impact of the waves on the bridge, while being, at the same time, outlined in the water as symmetrical circles. Kosinj valley is part of the Lika Plateau which is known for its clean air and unspoilt nature. Archaeological finds testify to human habitation in the valley since the Roman times. Winding through the heart of Kosinj Valley is the River Lika, the second longest sinking river in Europe. The rocky peak Kalić north of Kosinj affords a stunning view of Krasno, Perušić, the Kosinj Valley and the Velebit peaks. To be seen in Kosinj are many fine examples of the Lika rural architecture which blends harmoniously into the idyllic natural surroundings.